Commonwealth Stamps Opinion: 519. The Quest - Tracking Down Information On New Issues. 519. The Quest - Tracking Down Information On New Issues. As pointed out in Blog 518, the world of new issue collecting is vastly different from the 1960's and even the 70's which were my early days of stamp collecting. Then, in 1965, the British Post Office issued the equivalent of what now would be £17 worth of new stamps but in 2015 that sum has risen to a projected sum of about £430. It was also relatively easy to obtain information about new stamp issues from the postal administrations of The Commonwealth and equally easy to obtain most of the new stamps themselves because most countries employed a limited number of established and respected philatelic agencies to distribute their new issues on their behalf. Pre-eminent among these agencies was The Crown Agents which handled the new issues of scores of Commonwealth territories and additionally frequently oversaw the design and production of those stamps and helped to maintain sensible, reasonably conservative new issue policies which ensured a steady but not excessive output of new issues to preserve the continuing interest of collectors as well as enabling the collectors to be able to afford the new stamps and keep their collections up to date. The Crown Agents were efficient at providing collectors as well as dealers with information about forthcoming issues and, among other methods, published the excellent Crown Agents Bulletin. Since then, much has happened to the successors of the Crown Agents. At one time the agency sold directly to collectors via their wonderful Sovereign Stamps, supplying the stamps of probably around 50 territories, mostly from The Commonwealth. 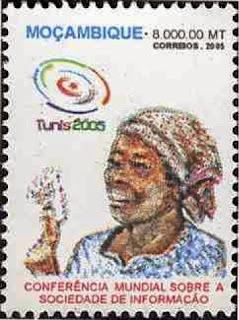 In 2007, The Crown Agents Stamp Bureau's latest manifestation, CASCO, was taken over by Harry Allen and is now the palest shadow of its former self as more and more client territories have taken their business elsewhere and CASCO now represents a rump group of just 11 territories (Barbados, Belize, Bermuda, British Indian Ocean Territory, Cayman Islands, Jamaica, Mauritius, Nauru, St. Helena, Saint Lucia and Seychelles). 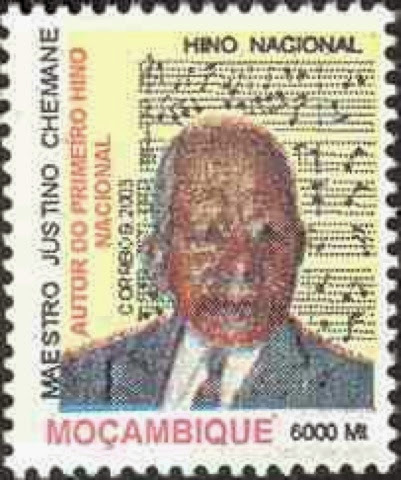 Information about stamp issues direct to collectors has become very irregular - collectors can look at the CASCO website and see what is being reported on the Trade Circulars listing but until the last couple of days or so these reports were not updated from March 2014. Interestingly Trade Circulars for June, October, November and December 2014 as well as January 2015 have just appeared on the CASCO site and give some details of issues of the past 6 months though it tells us a lot about the current state of matters that only 12 issues are mentioned as having been issued in the course of 10 months - a far cry from The Crown Agents' heady days of the 1970's. - 18 December 2014 - Roses (Blog 510) - des. by Keno K Simmons and litho. by BDT, Perf. 14. - 18 November 2014 - Christmas (see Blog 499B) - des. by A. Robinson and litho. by BDT, Perf 14. Jamaica - 11 December 2014 - Christmas (see Blog 510) - des. by A. Robinson and litho. by BDT, Perf. 14 x 15. St. Helena - 15 October 2014 - Brownies Centenary (see Blog 499I) - des. by Nick Shewring and litho. by BDT, Perf. 14. - 15 October 2014 - Christmas (fish) (see Blog 499) - des. by A. Robinson and litho. by BDT, Perf. 14. - 31 October 2014 - RMS St. Helena (see Blog 510) - des. by A. Robinson and litho. by BDT, Perf.14. The above list does not include all the issues released by the territories during the period covered by it and additionally does not mention the Green Turtle stamps released by Mauritius and Seychelles. I do hope though that CASCO has adopted a new year's resolution to improve its new issue publicity to collectors on behalf of its client territories and that it will not be another 10 months before these Trade Circulars are updated. Also, when I looked at the site this morning, many of the illustrations of the new stamps were difficult to view and it looks as though the site would benefit from someone who knows how to incorporate illustrations on the site being given the job of doing so. Several of the territories which were clients of CASCO have given their custom in recent years to the excellent Pobjoy Stamps which has resulted in a regular but not excessive new issue programme of interesting, well-designed and nicely printed stamps but also excellent publishing of pre-issue information to collectors and dealers about forthcoming new issues. This undoubtedly increases the "collector experience" as they know what to look out for and no doubt in consequence benefits the sales of the client territories' stamps. 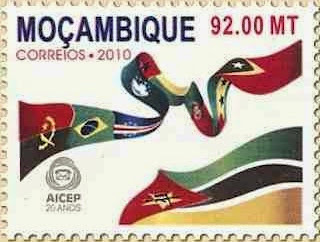 But finding information on the new stamps of some territories, let alone actually obtaining the stamps, is becoming extremely difficult. Some postal administrations seem to have two tiers of stamp issues - one type which is sold at local post office counters and have locally relevant subjects and actually get used by the general public on their mail - and a second type which is not sold across ordinary post office counters for use on mail even though the stamp has a theoretical validity for use on mail but may well be bought at special philatelic counters and are mainly intended as philatelic collectables - very frequently the subject matter of these collectables has very little relevance to the country whose name is printed on them. 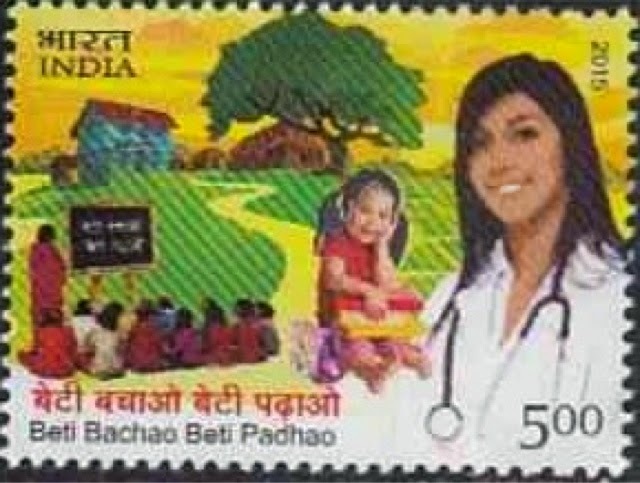 Such philatelic products, from agencies such as Stamperija and IGPC, are usually given good publicity for collectors in the philatelic media but the first type of stamps, those primarily intended for use on mail, in contrast often receive little or no publicity and additionally are very difficult for a dealer or collector to track down and buy. Stamperija is guilty of producing enormous numbers of philatelic products which it publicises well to collectors whilst keeping collectors in the dark about the real postage stamps in use in its client territories (perhaps it does not even know that they exist). Thus in Blog 403 and 508 I have drawn attention to the mysterious Maldives turtle and dolphin postcard stamps about which I have seen no information in the philatelic media nor found anyone offering them for sale (illustrated again below) and now, by chance, I have found an illustration of another stamp about which I was previously ignorant from another Stamperija philatelically dominated postal administration - Mozambique. 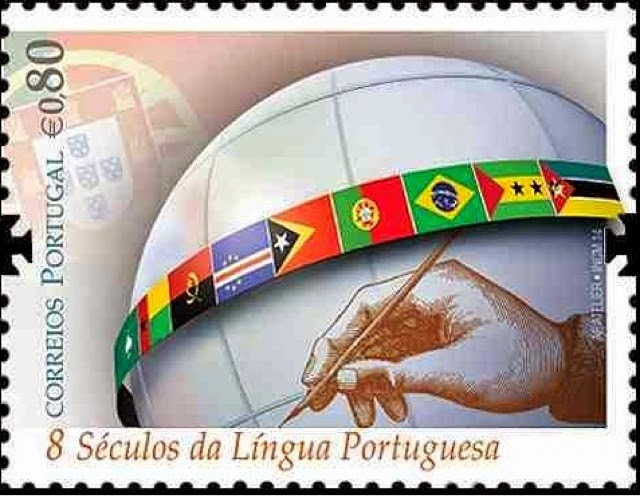 The stamp featured at the head of this piece commemorates the philatelic exhibition Lubrapex 2012 which I believe was an international exhibition which showcased the stamps of the Portuguese-speaking countries which belong to a sort of Portuguese Commonwealth postal organisation, AICEP. 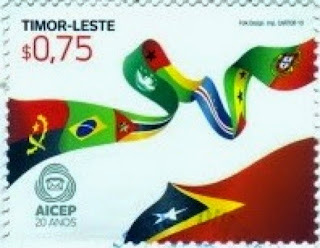 It was intended that the territories attending the exhibition, which was held in Sao Paulo from 11 to 20 November 2012, should each issue a stamp to commemorate the event - examples are known from Macao and Cape Verde and others were announced for Angola, Brazil, Guinea Bissau, Portugal, Sao Tome And Principe and Timor Leste - and each design should feature a Lusophone writer of relevance to the issuing country. 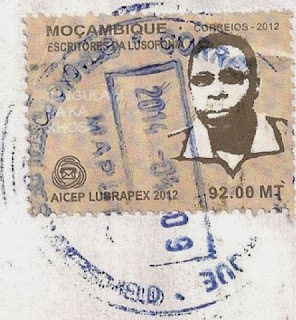 The depicted Mozambique stamp (presumably the only value in the set and also presumably issued on the opening day of the exhibition - that is - 11 November 2012) depicts the Mozambican novelist and short story writer, Ungalani Ba Ka Xhosa who was born in 1957. 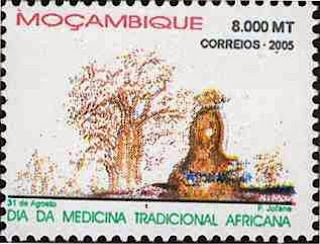 The stamp looks as though it was printed locally in Mozambique. I noticed the stamp in the illustration of a complete cover featured in the very interesting Blog Worldwide Covers by Florian Tirk. His Blog is well worth a visit and many covers are illustrated and help to give an impression of which modern stamps really do get used on mail as opposed to those which are produced solely with the intention of extracting money from collectors. Although Stamperija has been selling the stamps of Mozambique for several years I have not seen this particular stamp listed by the agency. 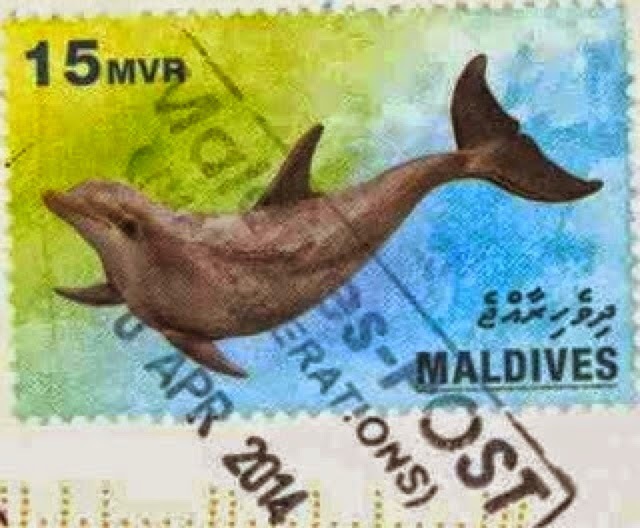 It would be nice if an agency which produces several hundred "stamps" per year in a country's name would not only sell its own products to collectors but would go to the trouble of giving information about and supplying that country's real stamps to the collecting world as well. 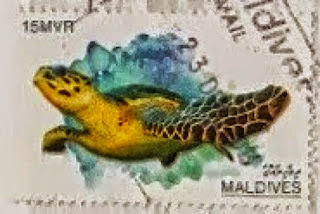 Who knows what stamps are out there which are finding their way on to local mail but rarely coming to collectors' notice. Mozambique's new issues from 1998 are among the the most difficult about which to discover information. I have previously written blogs about their rare surcharge issues and since 2003 there are 3 stamps which apart from the 2012 Lubrapex stamp have not received any publicity but have been listed on the WNS stamp listing site although I have never seen them offered for sale or seen pictures of them used on mail. There were then 2 issues from 2005 which went unnoticed - a single stamp released on 30 August 2005 which commemorated The Day of Traditional African Medicine and another released on 9 October 2005 which commemorated the World Summit on the Information Society which was held in Tunis. I should be very pleased to receive any additional information about these and any of the other stamps mentioned above. Meanwhile, one philatelic entity which is generous in providing publicity for its stamp issues is Jersey Post. In its Jersey Stamp Bulletin, Jersey Post details yet another new issue for 2015 - this time a set of 6 stamps on the subject of model railway engines to fit in with the Europa theme of "old toys". All 6 stamps depict toy railway engines made by the British company, Hornby, which does not appear to have any particular links with the island of Jersey so the relevance of the subject matter to Jersey seems a little dubious (though Frank Hornby did set up a factory in New Jersey, USA, for a while!) The stamps were designed by True North from artwork supplied by Hornby Hobbies Ltd. and lithographed by Cartor. The face value of the set which will be issued on 24 March 2015 is £4.07p which brings the total face value of new stamp issues in 2015 from Jersey up to late March to £31.77p (including the 18 "Post And Go" stamps/exhibition souvenirs). It appears that Jersey Post will then have the bit between its teeth as it is planning to issue a set of no obvious relevance to the island commemorating the Hubble Telescope ("Hubble - 25 years of space exploration") on 24 April 2015 followed by a totally relevant set on 9 May 2015 to commemorate the 70th anniversary of Jersey's liberation from Nazi occupation. After that a further 10 issues are planned for 2015! There's some information that you really don't want to know about. 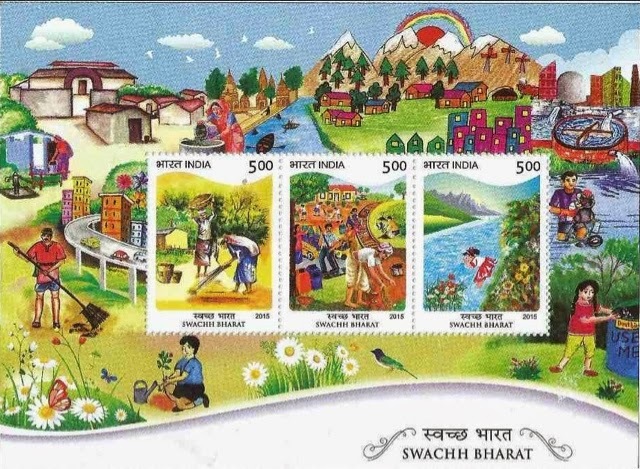 The second issue was released on 30 January 2015 and takes the form of a miniature sheet consisting of 3 different stamps on the subject of Swachh Bharat - cleaning up India. The Swachh Bharat mission was launched by the Indian government on 2 October 2014 to clean achieve "Clean India" and among its aims is the goal of providing access to toilets for all Indian households and the making of adequate arrangements for waste management. This reminds me of the issue from Samoa for World Toilet Day which I mentioned in Blog 499I. Very interesting article! It sheds light on some problems, of which the average collector might no be aware of. Thank you for mentioning my cover blog, but please can you correct my name: it is spelled "Tirk". Thank you for your comment. I do apologise for the incorrect spelling of your surname - it is very rude of me to make such an error and I will of course correct the mistake. 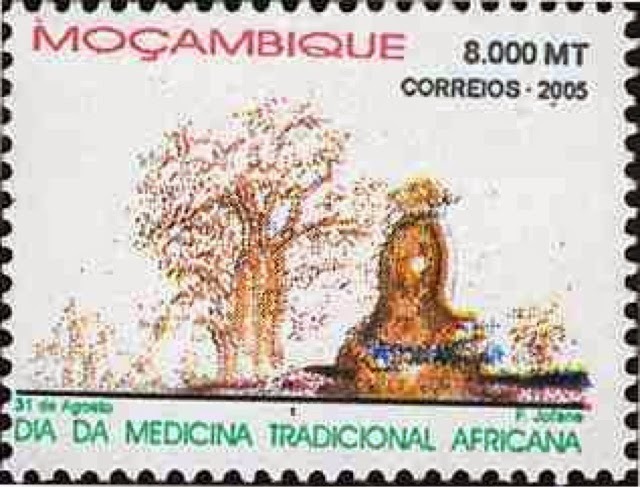 I have very much enjoyed looking at your Blog - it is so important to be able to see genuine covers as they tell us far more about what stamps are being used especially in places such as Mozambique, Maldives etc where philatelic agency- produced stamps seem to be all that is sold to stamp collectors although the "real" stamps are often missed. I expect to visit Stratford-upon-Avon in a few weeks time so I will try to send you a cover from the town where Shakespeare was born to add to your collection. Very best wishes. 526. Exciting New Issues From Malaysia. 524. A Bunch Of Comedians.